Established in 2008 Above the Beaten Track was a celebration of Liverpool’s and Merseyside’s grass roots scene. But all good things must come to an end, and our farewell event Beyond the Beaten Track takes place on Saturday 28th January 2017 at the Bluecoat venue and is free entry. On Saturday January 28th, The Bluecoat will host BEYOND THE BEATEN TRACK– a one-off closing party event, to celebrate Liverpool’s Above the Beaten Track festivals. The celebration will feature a daytime programme of panels, workshops, talks, roundtable discussions and informal networking, aimed at people looking to work in the music and creative industries. Mike Badger co-founded, Liverpool band: The La’s in the mid-eighties, he then formed The Onset, one of the UK’s first alternative Country Roots bands in 1988. Mike is also a partner in Liverpool Label Viper. Expect Original Roots Music, Rockabilly and Scouse Honky Tonk. Jimmy Rae & the Moonshine Girls are a Country/Amerciana flavoured acoustic trio from the Wirral, fronted by singer songwriter Jimmy Rae, accompanied by Sarah-Lou Fletcher on harmony vocals and Izzy Ryder on piano. Jimmy’s songs are rooted in the American rock’n’roll and country traditions, with an enchanting twist of celtic folk, lending them a comforting sense of familiarity. In concert, the precision harmonies and musicianship of The Moonshine Girls showcases them at their very best. Silent Cities is the alias of experimental recording artist, Simon Maddison. Based somewhere in the North of England. Influenced by time, natural LANDscapes, and the human condition. With a haunting falsetto voice and intricate guitar stylings, Silent Cities is fast garnering a cult following. Having amassed a music collection beyond his years, deejaying was the next logical step for Josh Ray. Expect a myriad of infectious grooves that’ll put a swing in your hips and a smile on your face. The roots of funk run deep through his selections of dusty grooves, basement jazz and world beats. This aficionado fuses the sounds of blues and soul through to Latin. Returning to Above the Beaten Track for the final time, expect the choicest cuts of funk, soul, afrobeat, hip-hop, reggae, ska and anything else with a groove from John Malone. The panel will look at how to get involved, establish ones-self and progress in the music and creative industries. Featuring a range of guests, including previous AtBT placement alumni. Whether it be securing gigs, putting on shows yourself, or just looking to get involved, this panel will consider current issues in the live gig and festival environment, and provide an opportunity to meet and “ask the promoter”. Informal Networking – An opportunity for everyone to catch up – a wide range of attendees in a more relaxing informal environment, which will progress straight into the evening’s entertainment. 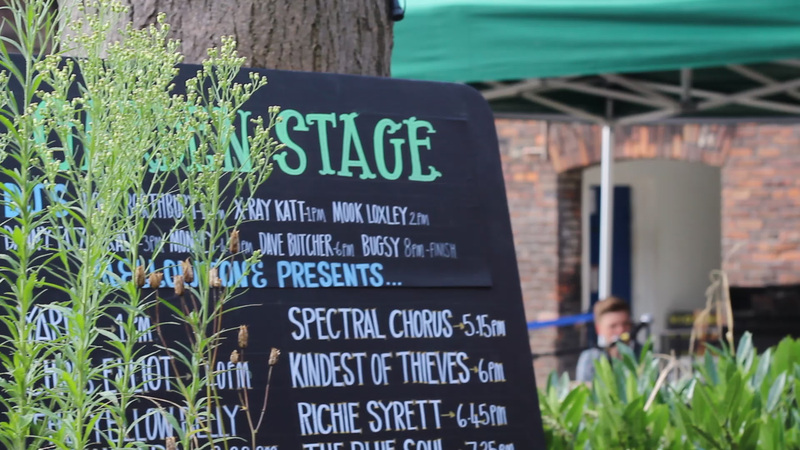 6.30pm – A FREE ENTRY GIG will follow the networking, with acts detailed above. 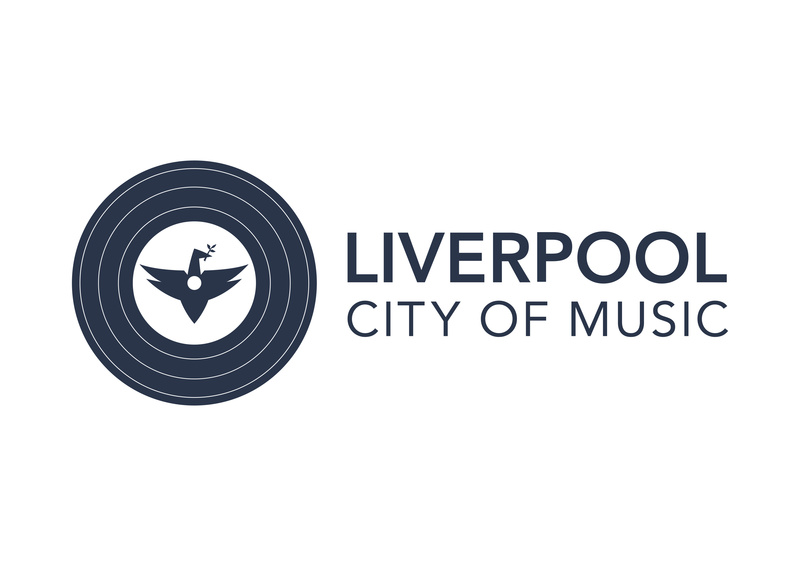 Established in Liverpool in 2008, at the View Two Gallery on Mathew Street, Above the Beaten Track was an annual celebration of Liverpool and Merseyside’s creative grass roots scene, bringing emerging and under-the-radar live music to the fore. 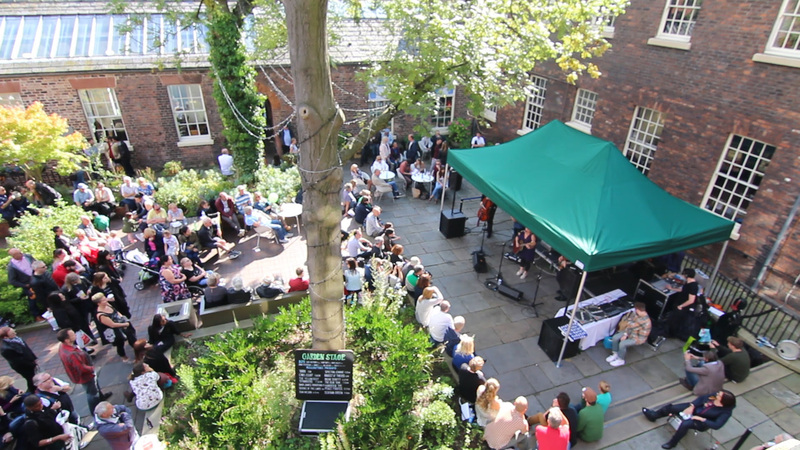 From a small music event, in response to the Mathew Street Festival, AtBT grew to become a large multi-arts event attracting thousands to the Bluecoat each year. In the past few years its gallery programme has shown some of the best UK and international artists, with significant solo shows by William Kentridge, Niamh O’Malley and Keith Piper, collaborations on large touring shows with artist/curators Mark Leckey and Common Culture, and exhibitions presenting emerging artists such as *Bloomberg New Contemporaries* and solo projects with, amongst others, Melissa Gordon and Adham Faramawy.